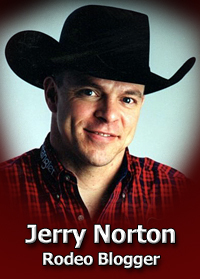 ProRodeo Live’s Steve Kenyon is also a ProRodeo announcer, and he works several events each year in that capacity. Jerry Norton does a phone interview from a comfy spot at a friend's house. One we’ll be working together is the Crystal Springs Ranch Rodeo in Clear Lake, S.D., an event I’ve been going to for much of my bullfighting career. He called Wednesday morning to do an interview, so I found a comfortable place to lounge and view the scenery at a friend’s house. My friend, as you can tell, has some young children, so this toddler’s chair worked great. 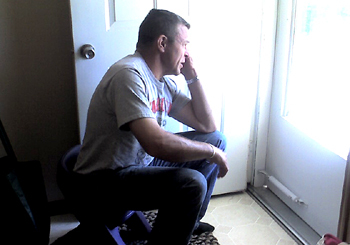 I was just the right height to watch the kids playing in the front yard. And the best part is I got to do all that while helping promote the sport I love. I’ve been blessed to have a great career as a bullfighter, and I’ve met countless friends over all those years. I got to tell Steve all about it, too.